If you are looking for a versatile craft that gives great results, this is it! Kids of all ages and adults love making these simple refrigerator magnets and are proud enough of the finished magnets to give them as gifts. 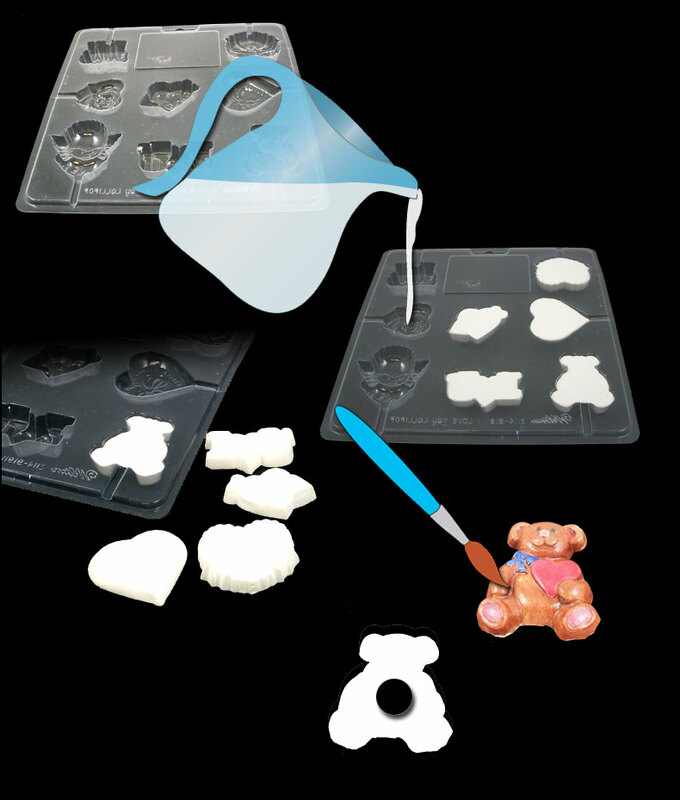 In this project, you will learn how to make refrigerator magnets out of painted molded shapes created by pouring plaster of Paris into candy molds. Group instructions included. 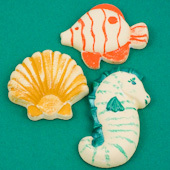 Options for magnets made without candy molds are also provided. This project requires few materials and is great for family, classroom or group craft time. Teachers or group leaders can mold the shapes in advance to make this a quick and simple craft project. Related craft: It's easy to make a pin or brooch using candy molds and plaster. See how in the Valentine's Day Pins project. Read through the project, then gather the materials needed for making the magnets. When purchasing candy molds, select those with smaller shapes—no more than 2" in size or so. Some smaller soap molds are also suitable. 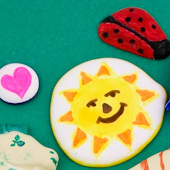 If doing this craft with a group, mold the magnet shapes in advance. It takes up to 48 hours for the plaster of Paris to dry enough to paint. Cover the work area with waxed paper or newspaper to catch drips and splatters. Mix up a small quantity of plaster of Paris according to the package instructions. A slightly thicker mixture is good for magnets. Slowly pour the plaster mixture into the molds, filling each mold well to the top. Tap the mold gently on the table to bring any bubbles to the top. Prick large bubbles with a dry toothpick or straight pin. Set the molds aside for 1 to 2 hours (depending on temperature and humidity) until the plaster has set, then unmold the shapes. Let the molded shapes dry for about 48 hours. Painting wet shapes can result in the paint peeling or the colors bleeding and running. Paint the shapes any colors you like—use your imagination. If you are making a set of magnets to give as a gift, paint them in coordinating colors. Markers also work well. Attach the magnet to the back of the painted shape using a very strong craft glue, jewelry glue or hot glue gun. If the painted shape is heavy or large, use multiple magnets. That's it! Your magnets are complete! Thanks to Carol D., who submitted the idea for this project to Aunt Annie's Craft Exchange in 1997. Carol commented, "This is very fun for all ages. I did this with my 4-year-old, who loves to paint, and my 16-year-old, who loves art." "Every year I make crafts with my daughters for them to give as Christmas gifts. It would be a great Christmas idea to give Grandma a set of refrigerator magnets!" Tip: Make a set of magnets to give as a gift. 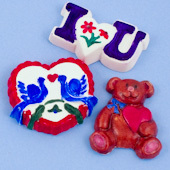 These magnets were made using soap molds. Tip: Refrigerator magnets can be made without a mold. Just pour puddles of plaster of Paris on waxed paper and paint them with fun designs. These thin shapes dry quickly, but are more fragile.